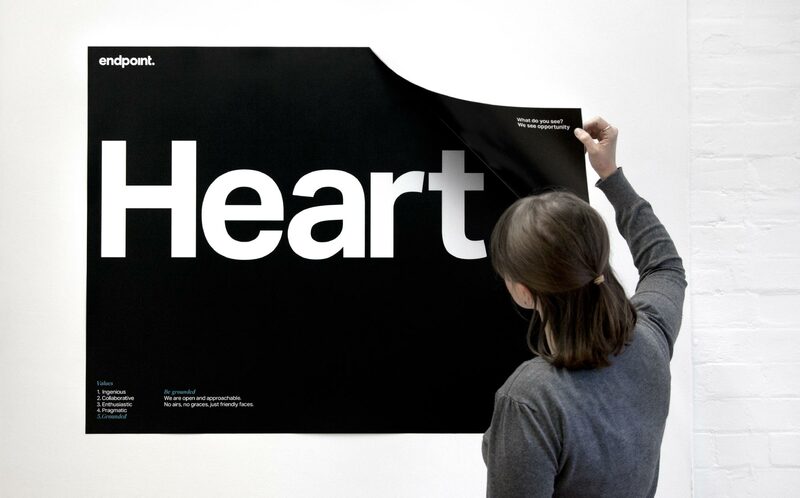 An internal engagement piece for Endpoint designed to help embed the new vision and values. 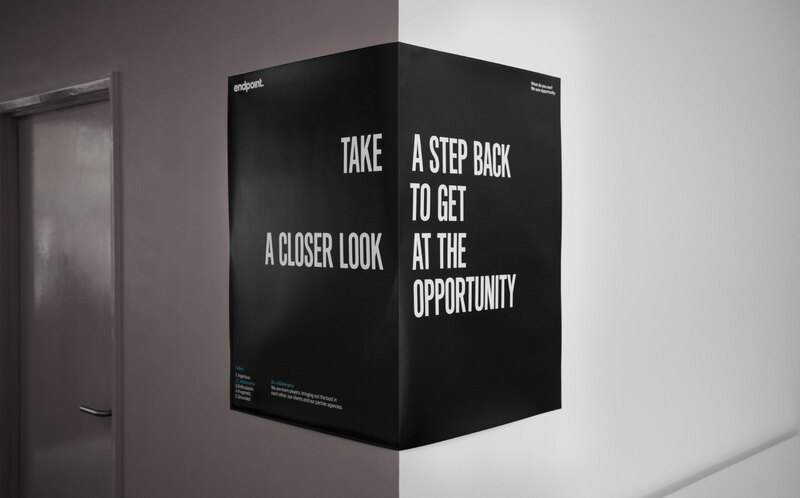 Designed for Endpoint’s offices this series of posters illustrate how changing perspective can create a different point of view. 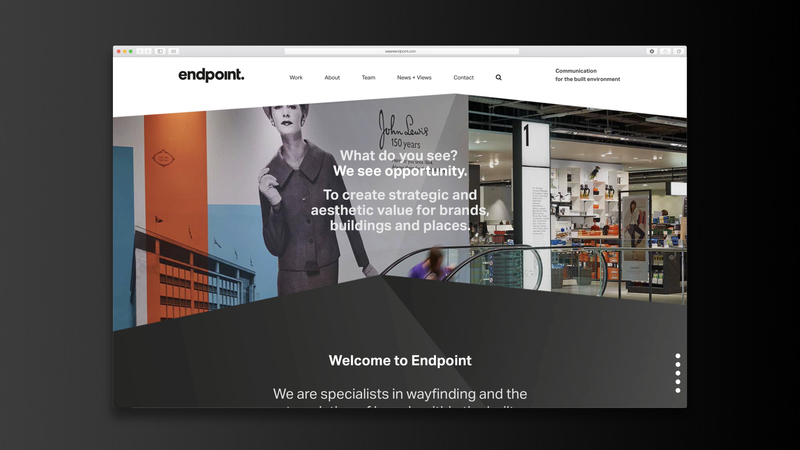 Our challenge was to create a compelling proposition for the business, which would inspire clients and staff with the opportunity that Endpoint creates for brands and the built environment. 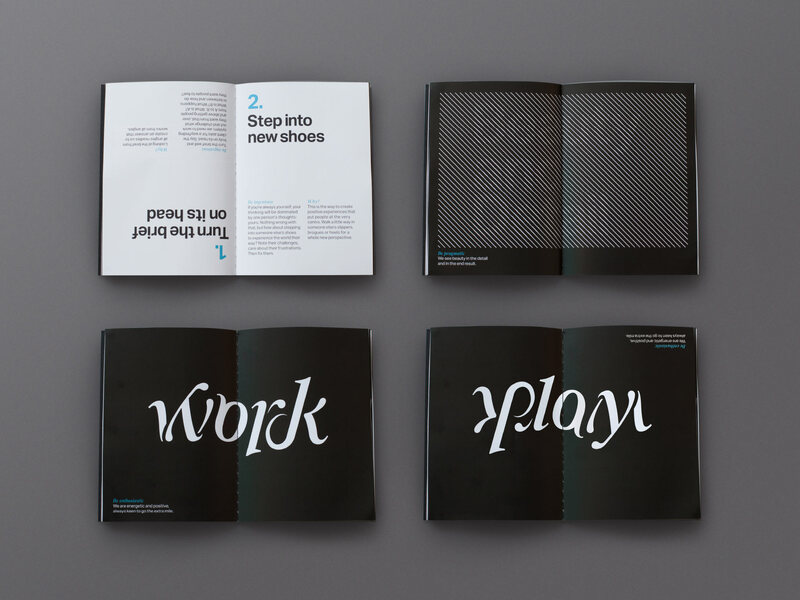 The creative concept is underpinned by the brand story of ‘We see opportunity’. 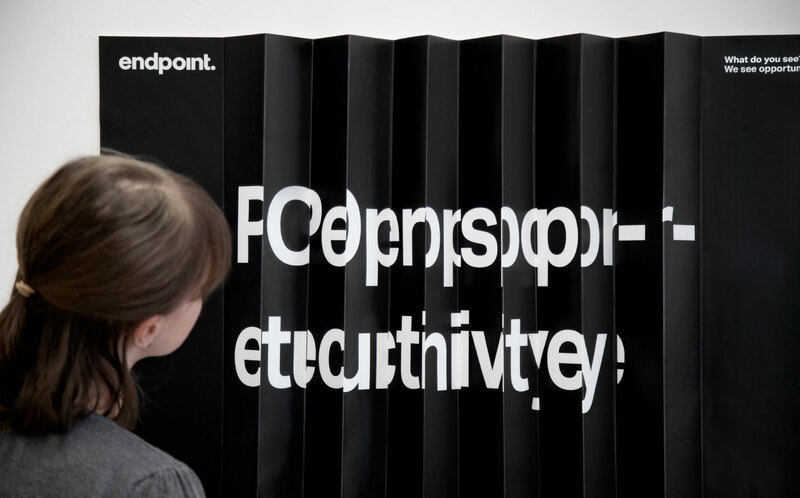 Referencing a brand truth uncovered through research, it refers to the differentiating value Endpoint delivers by looking at the built environment in a different way. 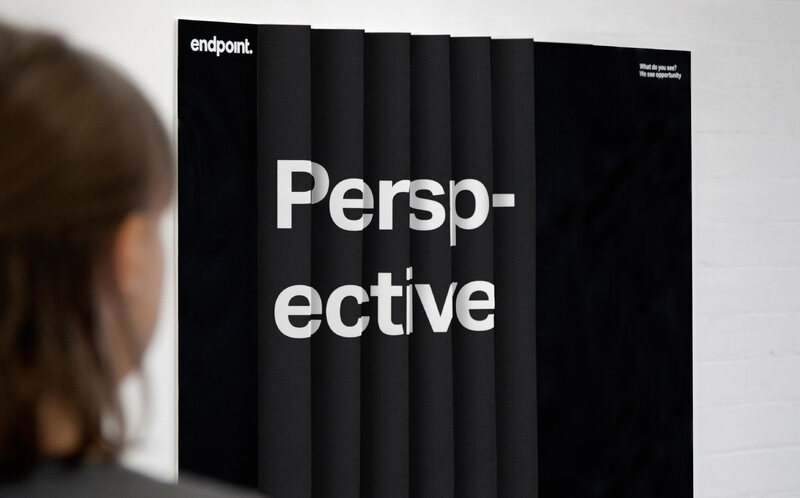 Endpoint uncovers opportunities for clients to improve performance in the built environment – be this strategic, aesthetic or commercial – by bringing a fresh perspective to its work. The concept of perspective was used in the graphics and messaging on the website and bought to life via parallax functionality (see website). 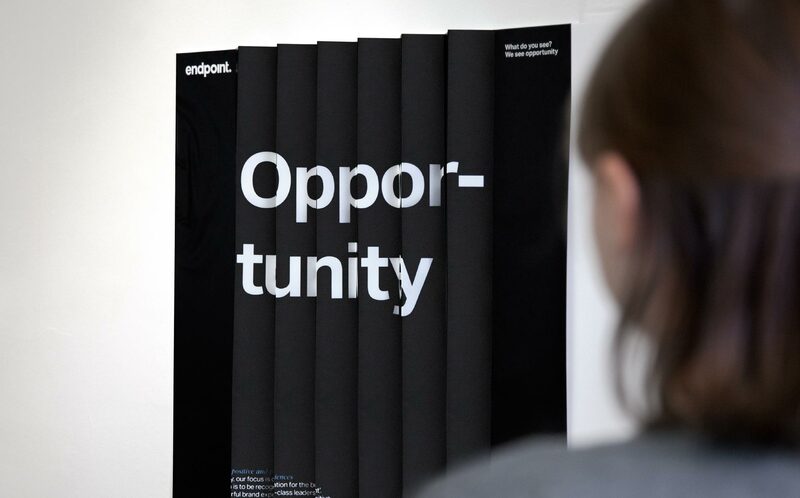 For the internal launch, The Allotment produced a clever booklet that gave meaning to Endpoint’s vision and values ; messaging and graphics in the booklet demanded that the reader physically change their perspective. 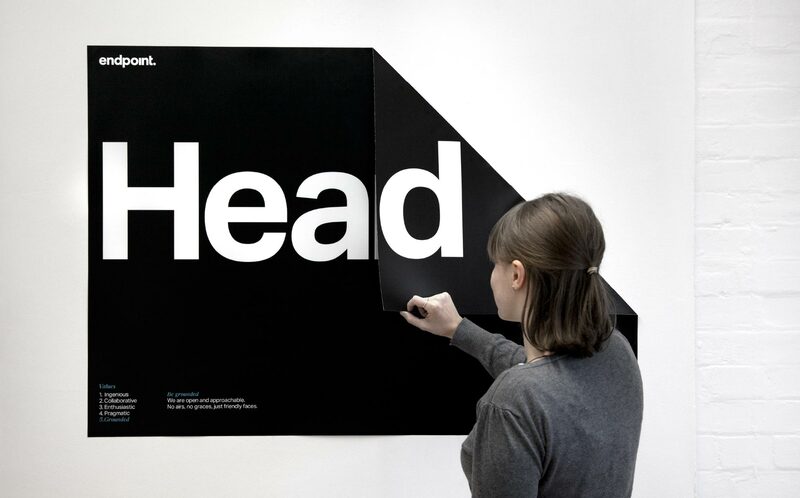 A set of large-scale posters has also been produced for Endpoint’s offices in London and Dubai. In each case there is a clever visual trick to engage the passerby. The ability to look at wayfinding and communications in the built environment in a very different and strategic way is what defines Endpoint. Capturing this in a clever and meaningful way was the challenge for The Allotment.